"[Nadia L. Hohn] and Luxbacher have created a sweet, immersive and loving book that will benefit both young new arrivals to a country and those just meeting them." Malaika joins her mother but this means a new country, a new family, new school, new climate, and new Carnival? What will Malaika do? 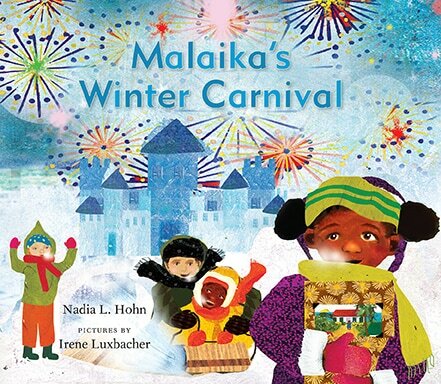 Malaika's Winter Carnival was published on September 1, 2017. Malaika's Winter Carnival is available in Scholastic Canada Book Clubs in English and French.